Nitrogen — Table 4 provides a listing and information on commonly available nitrogen sources. 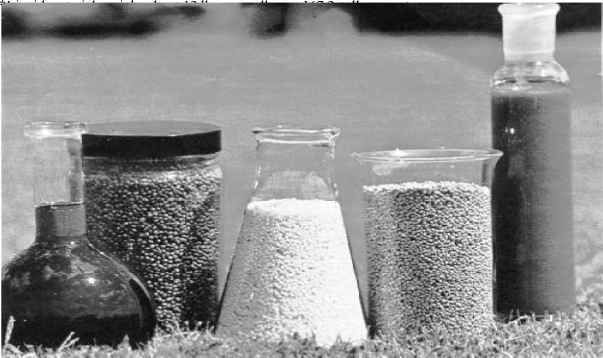 Flammable and explosive mix tures are formed with air in concen trations of 16 to 25 % NH3 by volume. 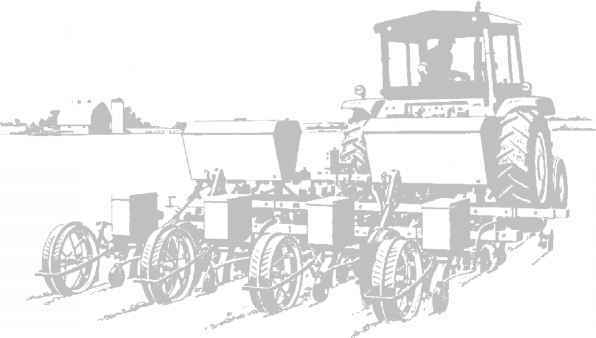 Need specialized equipment for application, used primarily for agronomic crops on relatively level land. --Normally 33 to 35 % is urea and 45 to 47 % is ammonium nitrate. ; weighs about 11.1 pounds per gallon; salting out may occur at 32 F.
Phosphorus -- Table 5 provides a listing of and information on commonly available sources of phosphorus. Potassium -- Table 6 provides a listing and information on commonly available potassium sources. Complete and Mixed Fertilizers — Table 7 provides a listing of some of the more commonly available complete or mixed fertilizer materials. Secondary Nutrients and Micronutrients - Table 8 provides a list of some of the more commonly available secondary and micronutrient sources. Should not be used as a nutrient source unless there is a need for lime.